The latest 13F reporting period has come and gone, and Insider Monkey is again at the forefront when it comes to making use of this gold mine of data. We have processed the filings of the more than 700 world-class investment firms that we track and now have access to the collective wisdom contained in these filings, which are based on their December 31 holdings, data that is available nowhere else. Should you consider Freeport-McMoRan Inc. (NYSE:FCX) for your portfolio? We’ll look to this invaluable collective wisdom for the answer. Is Freeport-McMoRan Inc. (NYSE:FCX) an exceptional stock to buy now? Hedge funds are becoming less confident though hedge fund sentiment towards the stock is still near its all time high which was achieved in September 2018. The number of long hedge fund positions shrunk by 4 since then. Our calculations also showed that FCX isn’t among the 30 most popular stocks among hedge funds. 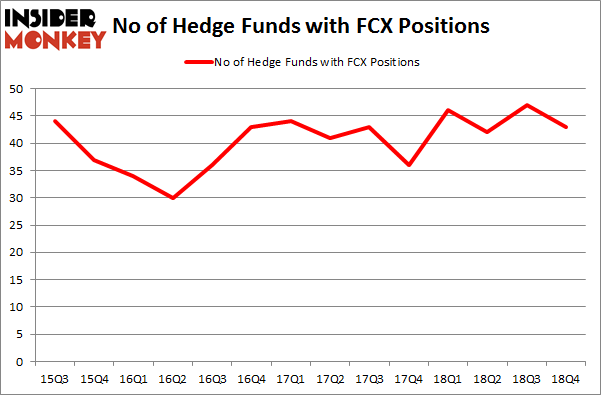 FCX was in 43 hedge funds’ portfolios at the end of December. There were 47 hedge funds in our database with FCX positions at the end of September. We’re going to take a gander at the new hedge fund action surrounding Freeport-McMoRan Inc. (NYSE:FCX). What have hedge funds been doing with Freeport-McMoRan Inc. (NYSE:FCX)? At Q4’s end, a total of 43 of the hedge funds tracked by Insider Monkey were bullish on this stock, a change of -9% from the previous quarter. On the other hand, there were a total of 46 hedge funds with a bullish position in FCX a year ago. So, let’s check out which hedge funds were among the top holders of the stock and which hedge funds were making big moves. 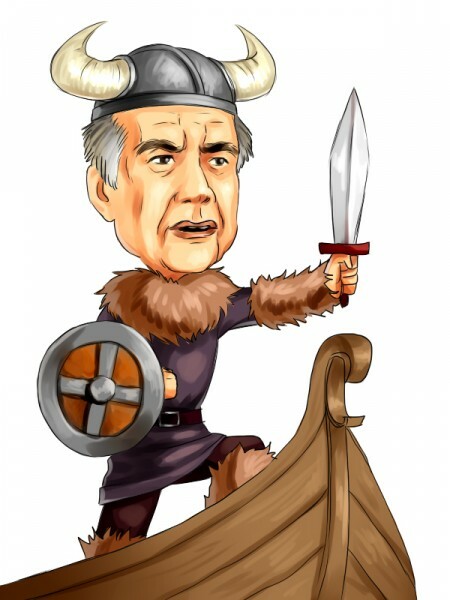 Among these funds, Icahn Capital LP held the most valuable stake in Freeport-McMoRan Inc. (NYSE:FCX), which was worth $517.2 million at the end of the third quarter. On the second spot was Fisher Asset Management which amassed $333.8 million worth of shares. Moreover, Iridian Asset Management, Two Sigma Advisors, and Millennium Management were also bullish on Freeport-McMoRan Inc. (NYSE:FCX), allocating a large percentage of their portfolios to this stock. Because Freeport-McMoRan Inc. (NYSE:FCX) has experienced declining sentiment from the smart money, it’s safe to say that there was a specific group of hedgies that slashed their entire stakes heading into Q3. Interestingly, Josh Donfeld and David Rogers’s Castle Hook Partners dumped the largest stake of all the hedgies monitored by Insider Monkey, comprising close to $92.1 million in stock, and Todd J. Kantor’s Encompass Capital Advisors was right behind this move, as the fund dumped about $15.7 million worth. These bearish behaviors are interesting, as aggregate hedge fund interest was cut by 4 funds heading into Q3. Let’s now take a look at hedge fund activity in other stocks – not necessarily in the same industry as Freeport-McMoRan Inc. (NYSE:FCX) but similarly valued. These stocks are DXC Technology Company (NYSE:DXC), Total System Services, Inc. (NYSE:TSS), American Airlines Group Inc (NASDAQ:AAL), and Ctrip.com International, Ltd. (NASDAQ:CTRP). This group of stocks’ market caps are similar to FCX’s market cap. As you can see these stocks had an average of 36 hedge funds with bullish positions and the average amount invested in these stocks was $1470 million. That figure was $1504 million in FCX’s case. American Airlines Group Inc (NASDAQ:AAL) is the most popular stock in this table. On the other hand Ctrip.com International, Ltd. (NASDAQ:CTRP) is the least popular one with only 21 bullish hedge fund positions. Freeport-McMoRan Inc. (NYSE:FCX) is not the most popular stock in this group but hedge fund interest is still above average. Our calculations showed that top 15 most popular stocks among hedge funds returned 19.7% through March 15th and outperformed the S&P 500 ETF (SPY) by 6.6 percentage points. Hedge funds were also right about betting on FCX as the stock returned 20.3% and outperformed the market as well. Is Liberty Broadband Corp (LBRDA) A Good Stock To Buy? Here’s What Hedge Funds Think About Principal Financial Group Inc (PFG... Activist Keith Meister Says This Year’s Market Rally and Last December’... Is CNH Industrial NV (CNHI) A Good Stock To Buy? Here is What Hedge Funds Think About Flocking Into ZTO Express (ZTO) Is Vulcan Materials Company (VMC) A Bargain According To Hedge Funds?